We guarantee all the photos were taken by our real samples based. Baseball Caps manufacturer, China baseball Cap manufacturer, factory, wholesaler. Really High Caps&Hats Co.,Ltd was founded in 1995, is a high-quality caps and hats manufacturer, who is always focusing on design researching and development production, With the existing 21 years of experience on mature and perfect production, mainly produce and serve both the international big brand hats companies and domestic well-known brand hat suppliers, providing OEM custom hat and ODM customization service. We, China baseball cap manufacturer, has 15 years rich experience in customization of all kinds of high-quality baseball caps, smooth processing technology mature, each production process we strictly control the quality, all kinds of advanced process equipments and machines (embroidered/printing/UV, etc.). 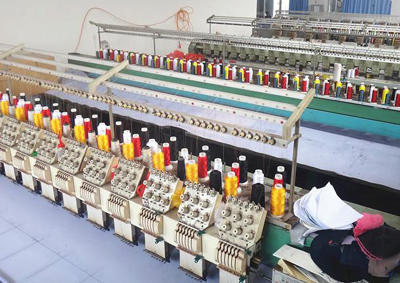 We can design according to customer's idea hat sample,having rich experience to make a special process, with all kinds of fabrics such as testing, security testing. As a professional experted China baseball cap manufacturer, factory, wholesaler, exporter, we can make different kinds of baseball caps, including : embroidered baseball cap, printed baseball cap, washed baseball cap, brushed baseball cap, blank baseball cap, custom baseball cap, kids baseball cap, flexfit baseball cap, mens baseball cap, women baseball caps, snapback baseball caps, Camouflaged baseball caps, wholesale baseball caps, etc. 1. A great variety of models ï¼šWe made for customers development more than 2000 new products and samples each year, quickly provided customers with the latest popular stylest, the fabric, accessories, and other designs. 2.Experienced team processing: to guarantee the delivery date, we have more than 200 highly experienced technical workers, advanced business and design staffs, all of whom are very familiar with big brands from design development to customs clearance delivery and distribution set of each processes to ensure quality and delivery! 3.Brand strength: RH in hat industry at present in China itself is a branded vendor already, our cooperation branded companies are: pure, mystery, li-ning, anglo-irish, metersbonwe, gloria, etc. International cooperation we have Bens, Mickey, Volvo, D&D, Disney, etc. You can click here:Wholesale cap China to see some of them. Baseball cap fabric: Our cap fabric are all anti-wrinkle, anti pilling, international standard color fastness, environmental protection dyeing; A variety of all kinds of fabrics, conform to the requirements of the international a variety of detection. Some other manufacturers choose hat fabrics with easy pilling, off color, smell, easy cause skin allergy while dressing. Baseball cap logo application: Our baseball cap factory use German imported printing machines, Shimada top , brothers and Barudan embroidery machines imported from Japan, about embroidered work, both for cap embroiderey and cap printing, we guarantee every pattern delicate clarity, enhance the brand Image. Other manufacturers: production strength standard is difficult to meet the requirements of the brand. The logo design on the baseball cap normally technology is coarse, stitches on logo are loose, leakage needles and crooked; Printing blurred, itâ€™s hard to meet the requirement of high quality brand. Baseball cap sewing: Our baseball cap manufacturer use international processing sewing standard, making sure 8 needles each inch, cap line and embellish both are good and classics professional design, sewing suture close neat, which makes the baseball cap more comfortable, more durable and more beautiful. Other manufacturers: normally sparse bulky, no details and sometimes the optional line Angle of brim is no good, baseball cap suture sparse bulky, easy to break out. This kind of baseball cap athought price is cheap but still they all have very loose cap shape and itâ€™s hard to suitable for all kinds of head shape. We take every order seriously, each order from initial inquiry to order to shipment, generally will go through the following process from our baseball cap manufacturer: order - to generate the production specification( PO placed) - Arrangement of the production line schedule - raw materials procurement - farbic cutting - LOGO application on baseball cap - sewing - semi-finished products sampling - baseball cap finishing - packaging - finished product all inspection - shipments. In the whole process of production orders, we have merchandiser by single to follow up arrangement, in order to ensure delivery of the finish. If you want to know the specific orders production schedule, you can feel free to contact us business. This is a regular order of the process, the brand order process is slightly different, such as Britain's years of customers, our cooperation will send QC in the factory the whole synergy of quality control. 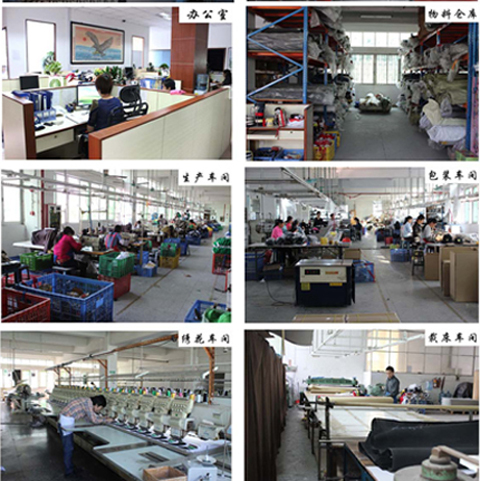 We also support the third party to factory for inspection, to ensure high quality of each baseball cap. We carried out quality control in accordance with the industry AQL2.5 international quality standard ,both for semi-finished products sampling and finished product full inspection to ensure the quality of our baseball caps, our cap checking QC department has a full set of inspection equipment, including inspecting machine, needle detector machine, tension tester, etc. We can also according to customer specifications, such as we now cooperation customer VANS, VANS is a famous international brand they have their own a set of QC inspection standard, we also can do the QC according to customer's inspection to the inspection standard. Our baseball cap packaging mainly make it according to customer requirements, usually brand customers For example, Packing from our cooperated clients like Li-ning. Gloria, each baseball cap will have about 3 tags, each baseball cap will be independent packed, two packages of moistureproof beads, for foreign trade export customers, we make packing according to the standard of goods to export standard. If no special request for packing, our way of packing is that the 25pcs per polybag, 150 baseball caps in a carton. In China,Freight arrangement will be made according to the different situation We have different flexible arrangement, first of all, if the customer has a designated Courier and logistics We can follow it according to the customer designated Courier or logistics delivery, for Shanghai city delivery our factory have a delivery van, free shipping to the customer designated warehouse for FOB we will be responsible for delivery to the specified port. There are special circumstances, such as our delivery way with pure cooperation is responsible for the hat shipped to different provinces and cities, there are hundreds of points need to separate shipments and number, we can safely and quickly to provide services.